I think it would be good to change the sound by swiping the entire screen.. or as an option at least. It can be difficult to swipe the little area at the bottom. I mean that pictures can stay small at the bottom but if I swipe up the top I feel that this should cause the bottom area to move left or right. Also separately suggestion for another noise, you should add the sound of a ceiling fan. I live in the tropical north of Australia and everyone is used to the noise of a ceiling fan clicking away (or whatever noise it makes.. just air movement - every fan is different ).. if you travel to a cooler climate you typically can't sleep because all you can hear is the silence. I'm sure it's the same all over tropical regions of the world. That sounds like a cool feature. Personally though, I just use the DPAD cursor buttons to change the sound. With the LEFT and RIGHT buttons you accomplish exactly what you want with the swipe, right? Sure, a swipe is cooler so I may put it in at some point. Also separately suggestion for another noise, you should add the sound of a ceiling fan. What other sounds do you want? Not just mattrl but anybody out here? Purring cat, different beach sounds? Also, what about the sounds that are already on there? Are they ok? What's you favorite? What doesn't work? I am using N1 so no dpad, only the trackball but the same result as you say. The sounds are good overall. I had the thunderstorm playing the other night while I was using the computer.. I wasn't trying to sleep but just he sound of the rain was very relaxing.. if only it were raining outside Don't search too hard for a fan noise.. Heart beat I imagine would be awesome once you got used to it but I have a thing against earphones while I sleep (just a personal thing). Chime I think is a little too loud and maybe a bit too slow.. perhaps its the metallic sound - I probably prefer wood because that's what we have outside. I've used white noise 4 or 5 times and thunderstorm once to go to sleep. I find I wake up from a pretty deep sleep.. well rested. But my room is typically noisy anyway as I have a split system aircon going and a ceiling fan.. blowing my vertical drapes around. Just been listening to the clock sound.. it makes that up down sort of noise. Like big click little click and the picture I associate with the sound is a grandfather type clock. 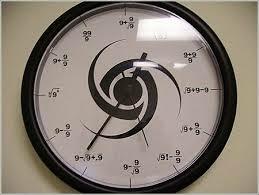 I don't know if the noise I associate with this sort of clock - http://t3.gstatic.com/images?q=tbn:G1DD ... 4.2007.jpg - would be better? Or just different.. it's almost silent and you just hear the slight noise of the second hand moving.. not the entire mechanism like the grandfather clock? Sorry you should probably merge these posts. Grandfather goes tick tock.. tick tock... ish noise. The heart sound (and the thunderstorm) have almost all relevant information in the lower frequencies, too low to be heard with the built in speakers. That is unfortunate, but those of you with a media dock should be able to listen to the sounds through external speakers. I get the idea of the different type of clock. We all have different experiences and I believe what calms us often are experiences from our childhood. The clock noise I used is similar to my grandfather's old clock. It was so distinctive and I found it calming when I was a child. I can actually smell what the room smelled like when I hear that sound. Coming to think of it, that may be a reason not to use that sound.